Liczba stron: 275 Jest to ujednolicona liczba stron, która ułatwi Ci porównanie długości książek. Każda strona Legimi to 200 słów. For the young cadets of the famous Space Academy Polaris unit a month's leave would seem to be a perfect time for rest. 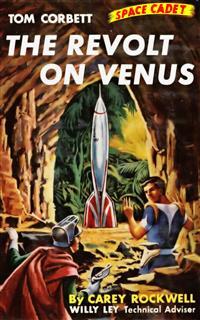 But they have other ideas when they plan a trip to the jungles of Venus. There they hope to hunt the most terrifying of all big game—the mighty Tyrannosaurus Rex!